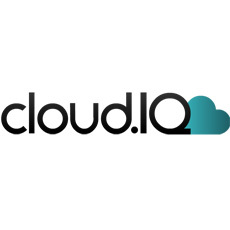 cloud.IQ’s offers a suite of remarketing and conversion tools designed to convert browsers into buyers using powerful, proven marketing and recovery techniques. Send personalized emails and web content to encourage customers to come back to make a purchase. cartRecovery is a remarketing tool designed to re-engage with customers, tracking and converting visitors who abandon their shopping carts. The tool allows users to monitor shopping basket items and capture user interactions. If the purchase is abandoned, a chain of three personalized emails is sent out, enticing visitors to return and complete their purchase. exitCapture is a tool to help users capture more email opt-ins and convert site visitors into customers. The tool tracks visitor’s site activity and anticipates when they are about to leave. When this occurs, the tool automatically overlays the web page with profile-relevant content that requires their email address to access it. siteAnalyser offers an analytical tool to identify lost sales and determine how much more revenue users can be generating. The tool enables users to access real-time analytics to benchmark their online sales funnel, identify points where browsers are leaving the site and abandoning carts, and discover missed sales opportunities. targetMail is a behavioral merchandising tool designed to track the browsing habits and deliver real-time personalized emails to registered users. The tool gives users the opportunity to merchandise to customers who have left the site. Through customer profiling, users can send recommendations and special offers specifically tailored to their preferences.